Simple is best when it comes to trout; a bit of butter, a bit of citrus, and dinner is perfection. This was fantastic! So simple yet gorgeous and delicious. Used parchment instead of foil and brushed the mix on flesh side of two halves of a large trout instead of dipping and it was perfect. Used organic lemons too, which I find a bit sweeter. Kids loved it and asked for seconds. Served it with basmati rice (cooked with a little butter) and french green beans steamed then dressed in a little lemon juice, olive oil and salt/pepper. Everyone asked for recipe. I want to make it again this week! Not enough seasoning, if you add a little garlic powder and pepper it takes it to another level! Average rating of 4.50 stars based on 2 reviews. 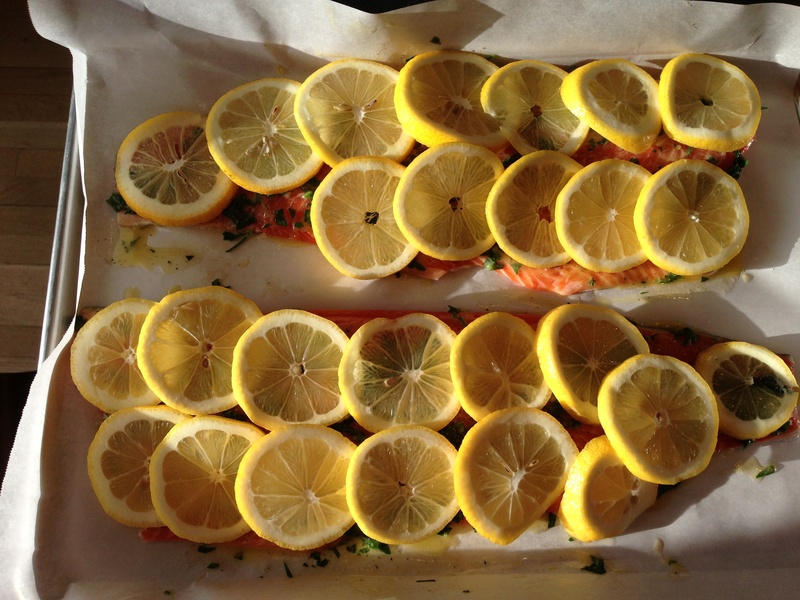 Summary: Simple is best when it comes to trout; a bit of butter, a bit of citrus, and dinner is perfection.